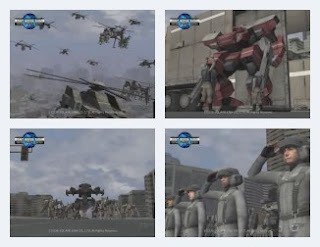 Front Mission Online is the MMO chapter in the long-running series, which started on the SNES in 1995. The benchmark sees two groups of mechs battling it out in a war-torn city. Lots of big robot action with story progression. No sound effects sadly, and the music loops repeatedly until the end. Framerate was consistent. Long running time. The highest resolution I could run it at was 1024x768 - the program crashed at anything higher. Recommended.